Distance won over: 8f. to 20f. Five-time Group 1 winner by DANEHILL and runner-up to World Champion Hurricane Run in a vintage renewal of the ‘Arc’. Stores have made up to €325,000. 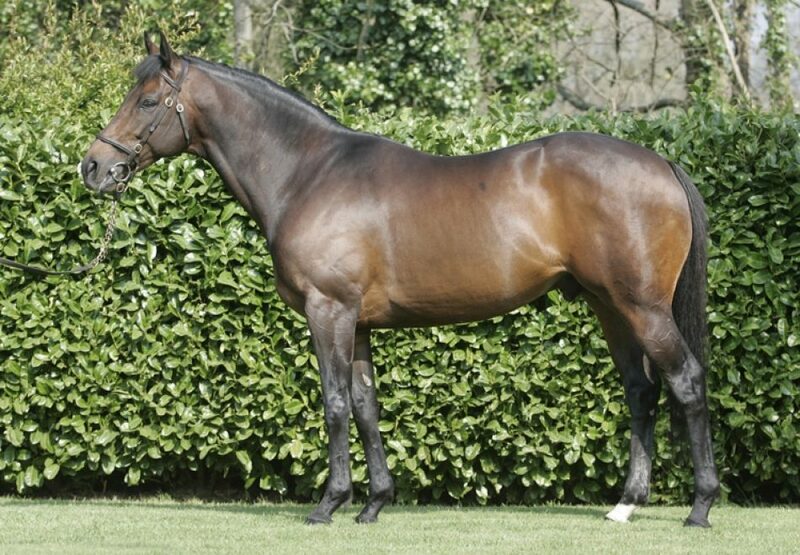 Sire of Cole Harden (Gr.1 World Hurdle wnr), Gilgamboa (Gr.1 Ryanair Gold Cup Novice Chase wnr), Western Warhorse (Gr.1 Arkle Chase wnr), Captain Cutter (Gr.1 Hurdle wnr), Creepy (Gr.2 Hurdle wnr), Deputy Dan (Gr.2 Hurdle wnr), Grandioso (Gr.2 Chase wnr), Wakanda (Gr.2 Chase wnr), Keeper Hill (Gr.2 Chase wnr), Rocky's Treasure (Gr.2 Chase wnr), Never Forget (Gr.2 wnr), Westerner Lady (Gr.2 Chase wnr), Ballynacree (Gr.3 Hurdle wnr), What A Warrior (Gr.3 Chase wnr), Empire Of Dirt (Gr.3 Chase wnr at Cheltenham), Solar Impulse (Gr.3 Chase wnr at Cheltenham), Queens Wild (Gr.3 Chase wnr), Total Recall (Gr.3 Chase wnr), Three Stars (Gr.3 Chase & Hurdle wnr), Caid Du Berlais (Gr.3 Paddy Power Gold Cup Chase wnr) etc.